This is the Name Color Selector page for the Wiki of NameCosmetics. Essentials Users: Please set "change-displayname" to "false" in Essentials' config.yml file. NameCosmetics' Name Color Selector is the easy to use, completely configurable GUI for changing your name color. Simply open the Name Color Selector by executing the "/namecolor" command, then pick out your perfect name color. Great! 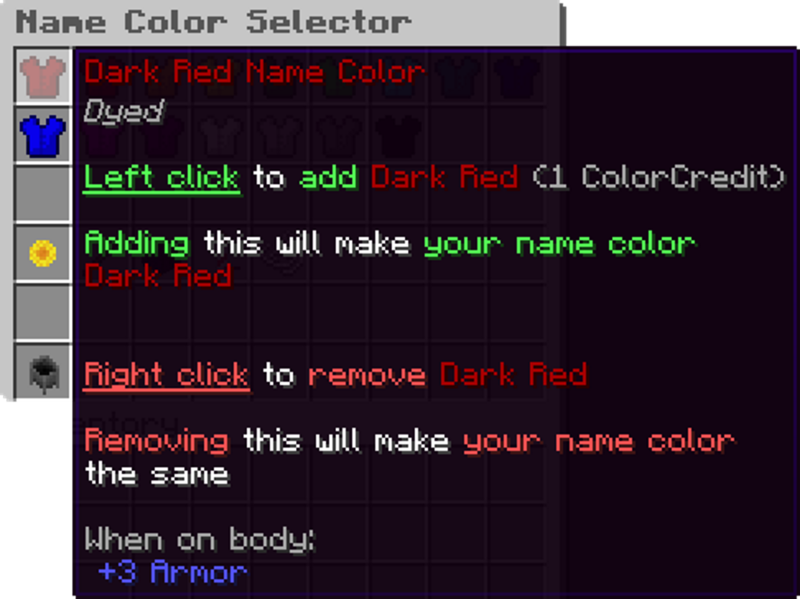 Dark Red is now added to your name color. But why stop there? 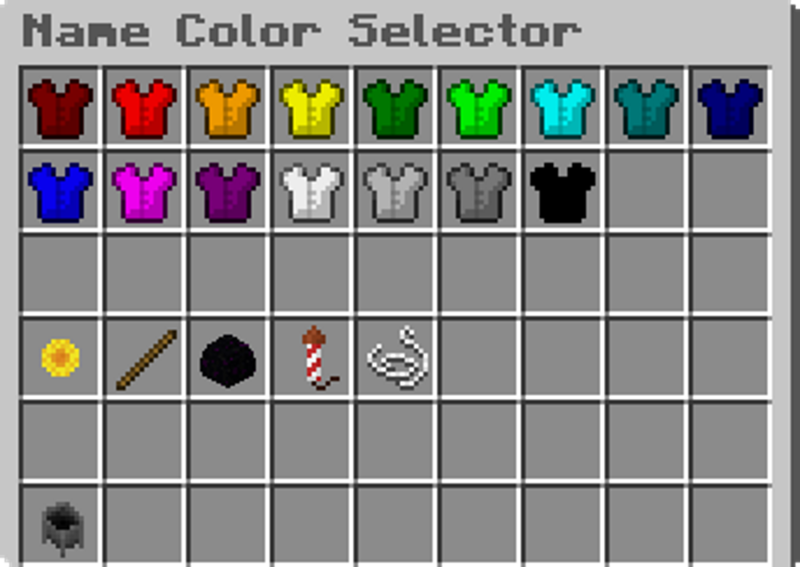 Let's throw in Red, Gold, Yellow, Dark Green, Green, Aqua, and Dark Aqua! 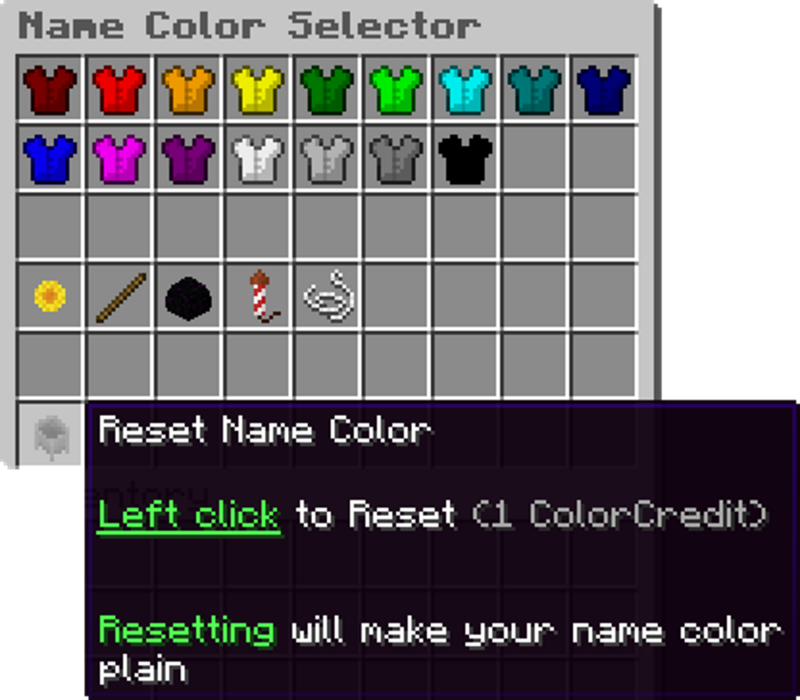 Just like removing a name color, hover over the cauldron item, which represents the reset name format - cauldron by default (changeable, just like everything else in NameCosmetics), - in the Name Color Selector to view its name format information. 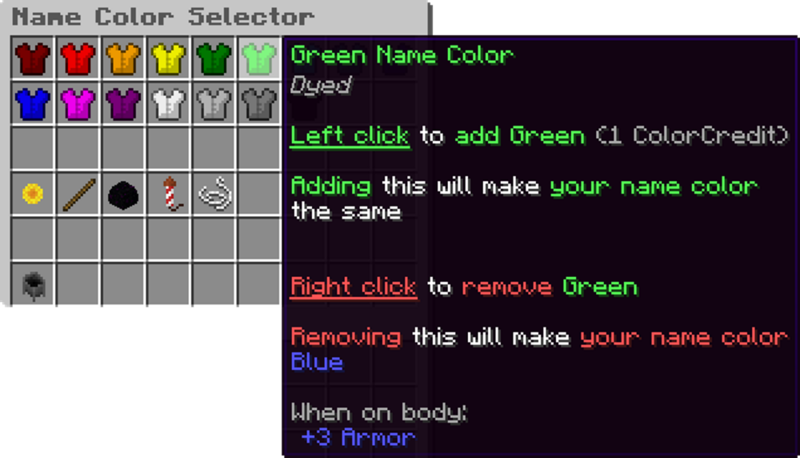 When you have found the cauldron item, left click on the item, and your name color will be reset.